Trust is a very delicate matter — especially online, where most if not all of the cues (location, appearance, diction, body language) we use to make trust decisions in the physical world are absent. To make matters worse, the rampant growth of the Internet has caused countless spammers and scammers to take advantage of this, making us even more wary about anything new that purports to build trust. Which is what makes the Connect.Me private beta so interesting and exciting. When we opened it up the first small group of users on our beta signup list a month ago today, we could hardly wait to see how they would proceed with real social vouching across their real social networks. At first it started slowly, with lots of hand-holding, but then after about 10 days something kicked in, and last weekend we passed 100,000 vouches. Some users (particularly those active on social media) have made hundreds of vouches. As just one example, UC Davis microbiology professor Jonathan Eisen has vouched for 172 people and received 42 vouches. As you might expect, some people receiving notifications of those vouches on LinkedIn or Facebook assumed it was a new type of social spam. After all, who on the social web has not experienced a site or app trying to trick you into automatically inviting all your friends? To make matters worse, the first week we had a few bugs in the notification system, and the UI controls over notification were not clear enough. 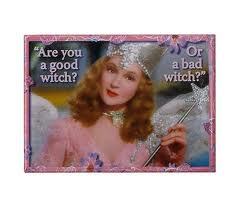 To users who tripped on those bugs, we must certainly have looked like a bad witch. Bingo. We’re not in Kansas anymore. We’re on the other side of the rainbow of user-generated trust. And while no one’s promising a yellow brick road to the land of Oz, this is going to be one helluva journey. If you’re intrigued and can’t wait for your beta invite, see this article on the Connect.Me blog. You can also watch this video interview Buzzumi CEO Dan Marovitz did with me yesterday. To learn more about the next features coming in the Connect.Me private beta, see this new blog post by CEO Joe Johnston. And if you’re really passionate about user-generated trust, we invite you to contact us about becoming a Founding Trust Anchor. Instructions are in this short paper on the Connect.Me blog. This entry was posted in Connect.Me, General, Respect Trust Framework, Social Web. Bookmark the permalink. Excellent post, Reed. I loved how you referred to connect.me as “the other side of the rainbow of user-generated trust”!